Continuing my African Series with another recipe from Yummy Medley’s Blog. 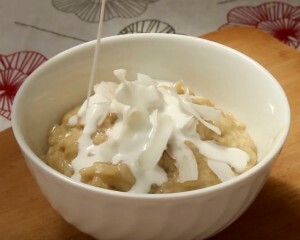 A deliciously creamy Senegalese Coconut Rice. Oh this one is just heavenly. I love anything made with coconut and I really enjoyed making this outside in the wonderful Australian Sunshine. In a pan place the rice with two cups of water and bring to the boil. 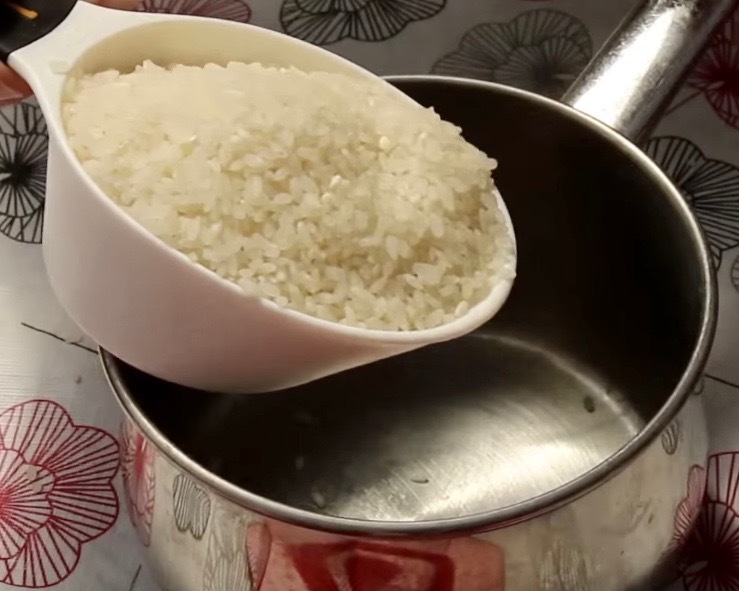 Turn down the heat to allow the rice to simmer for about 10 minutes until it is ‘al dente’ or just cooked. Remove from the heat and drain the water. Set to one side. In a separate saucepan, bring the coconut milk, coconut cream, and brown sugar to a gentle boil over low-medium heat. Stir continuously until the sugar has dissolved completely. Add the cooked rice and salt and continue cooking and stirring for 5 minutes. 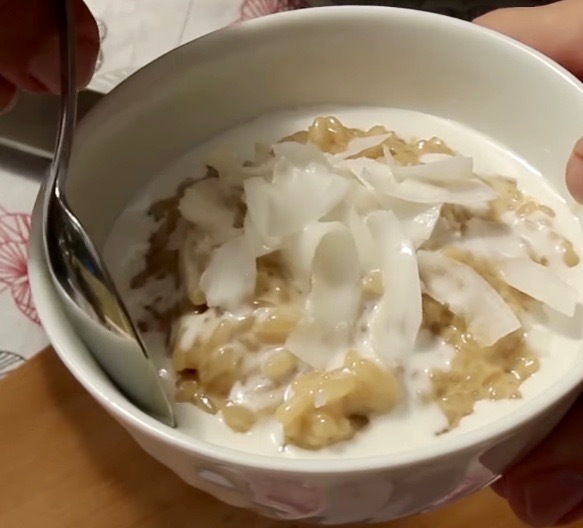 Once the rice has absorbed most of the milk and is thick and creamy, remove from the heat. Place into a serving bowl. Top with the coconut chips and drizzle with coconut cream. Squeeze Lime juice over the top and dig in. Yummy Yummy! !